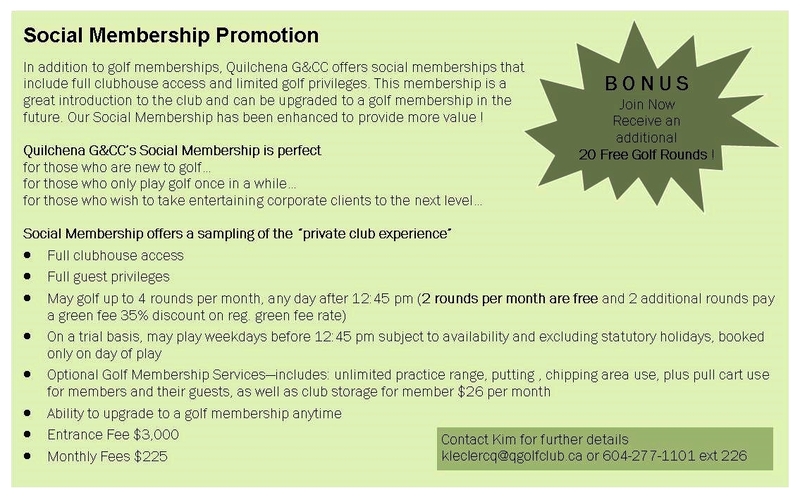 It is the welcoming feeling that new members experience at Quilchena Golf & Country Club that makes it so unique. From the first day, there is a heart-felt sense of belonging, a warm interaction in club activities, in social events, in casual rounds and friendly competitions. That is the way it has been since the golf club was first formed in 1925; a committed and enthusiastic membership creating the strong sense of community found only at the Q. The wildlife and natural setting are as much a part of what makes Quilchena so unique as the spectacular golf course and the state-of-the-art amenities anchored by the multi-million dollar clubhouse. But year after year, generation after generation, what makes Quilchena one of golf’s most sought after memberships are the members themselves. Following extensive redesigning and upgrading, including the creation of beautiful water features and new tee complexes, Quilchena golf course is unquestionably among British Columbia’s finest. The state-of-the-art drainage system, and wonderful climate, makes membership at Quilchena not just a seasonal enjoyment, but also a year-round pleasure. It is even more attractive to players of all ages because its gentle contours make it one of the most easily walked courses anywhere. Please click on the image above to enlarge for details and better quality.